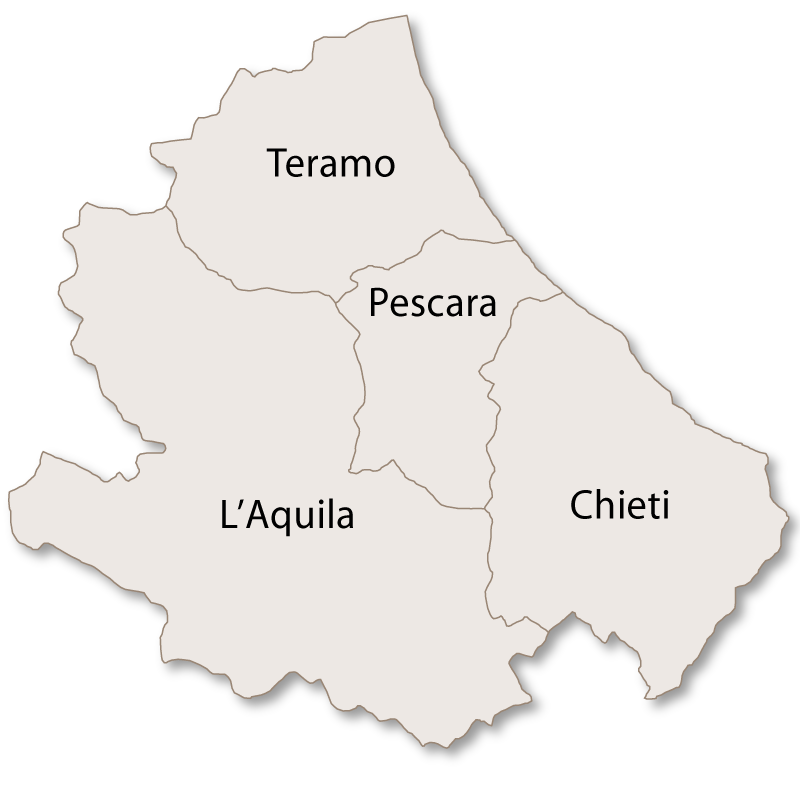 The province of L'Aquila covers an area of 5,034 sq.km which is almost half of the region of Abruzzo. 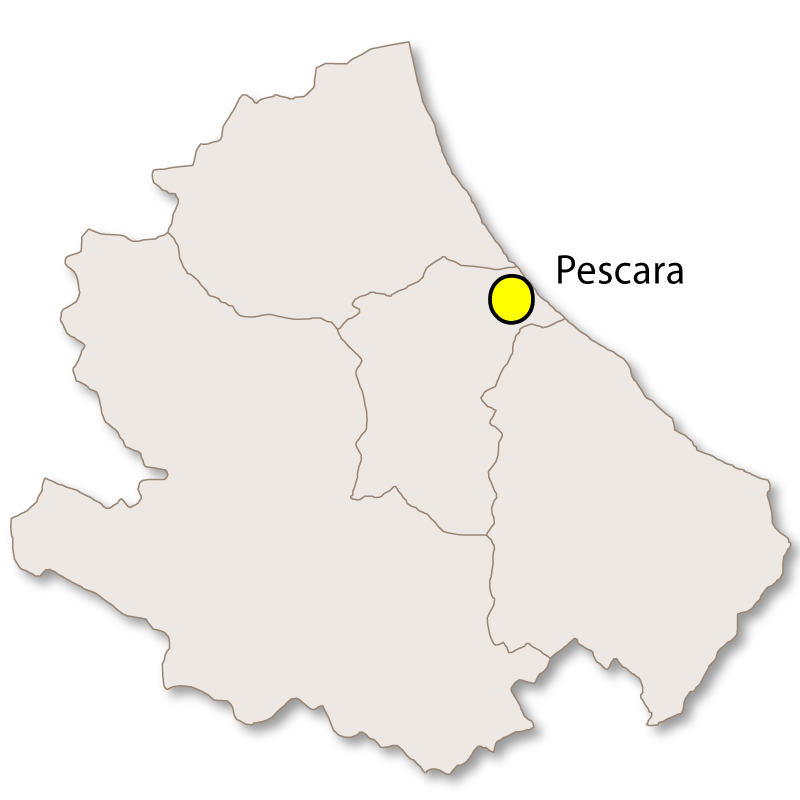 It borders the province of Teramo to the north, Pescara and Chieti to the east, the region of Molise to the south and the region of Lazio to the west. 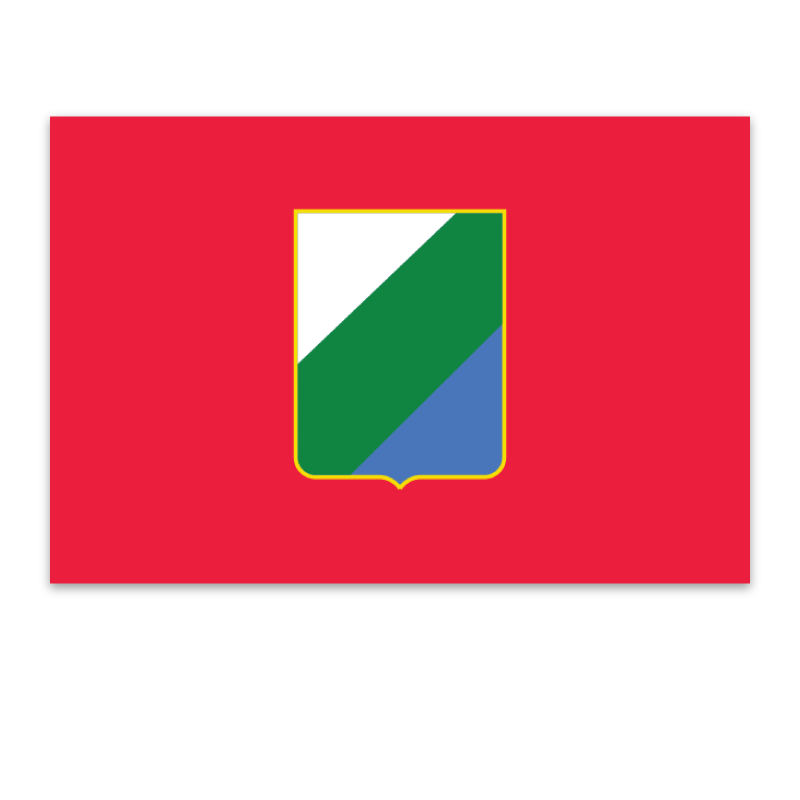 Although L'Aquila is the largest of the four provinces in the region of Abruzzo, it is the least densely populated largely due to it also being the most mountainous. The highest mountains of the Apennines, Gran Sasso, Maiella and Velino-Sirente, run through this province with the highest peak being Corno Grande. Until the 19th century the largest lake in Italy, Lago Fucino, was also in this province but it was drained during a large engineering project. 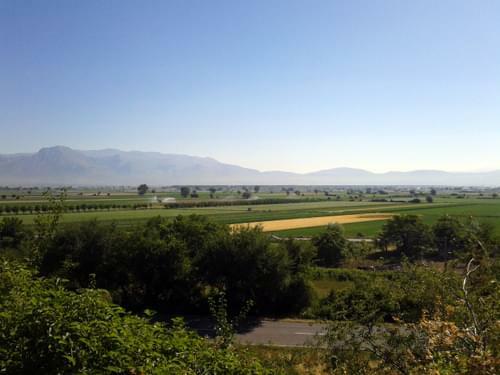 Today, the plain which was once occupied by the lake is a very fertile and productive agriculture area. Lack of work in the area meant that during the 20th century many people left the villages and headed for larger towns to look for jobs. The population declined rapidly and the major economy, agriculture, almost collapsed as a result. In attempt to attract tourists to this very scenic area, several national parks were formed, Gran Sasso e Monti della Laga National Park, Majella National Park, and the Sirente-Velino Regional Park. 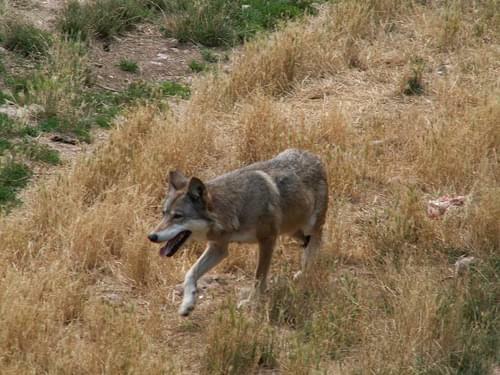 These parks are well preserved with stunning scenery and a thriving wildlife. The area became popular with tourist which in turn created work and now the population is gradually increasing again. 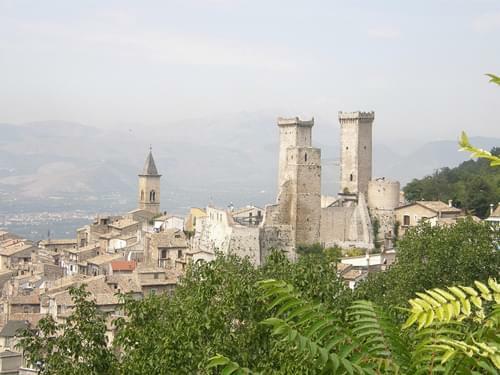 Abruzzo is known as 'the green heart' of Italy and the province of L'Aquila has become well known for its well preserved medieval hill towns, fortresses and castles. 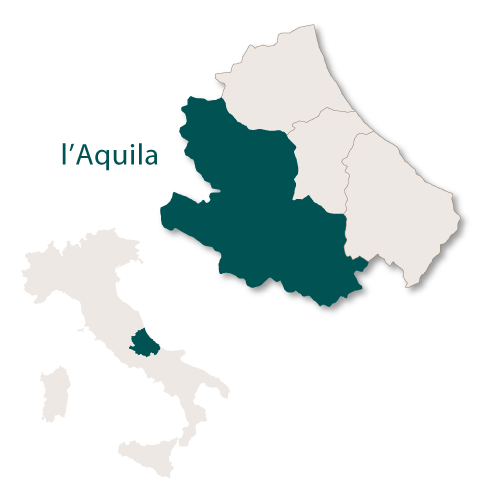 The province has been badly effected over the years by earthquakes, particularly the capital city of L'Aquila and its surrounding areas. 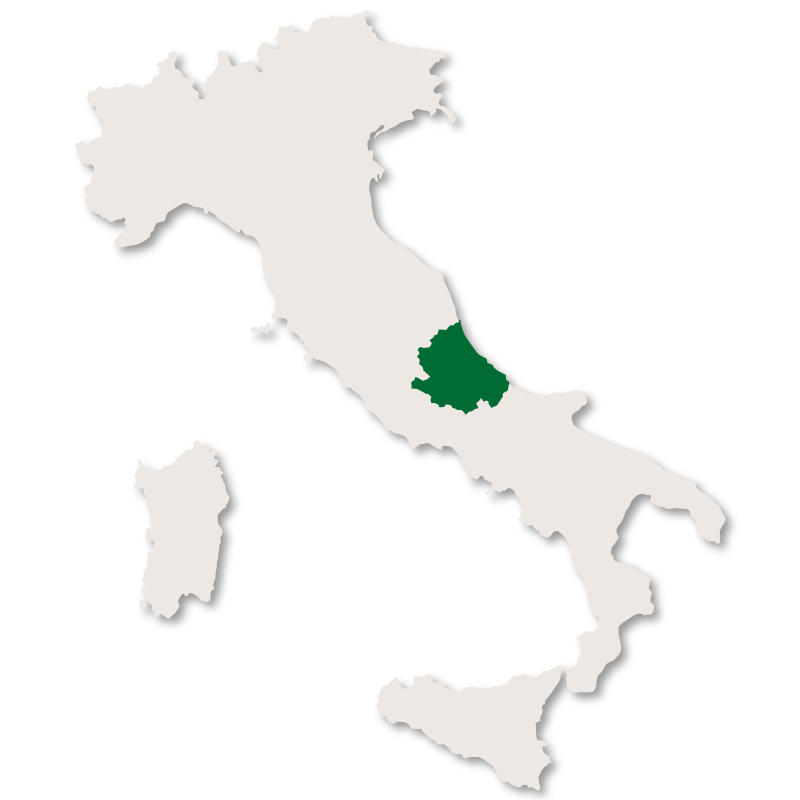 This is the second largest town in the province of L'Aquila and is an important commercial and industrial centre. It was once on the shores of the large Lago Fucino, the draining of which allowed the growth of agricultural and industry in the area. Avezzano was completely destroyed in 1915 when it was hit by the worst earthquake in Italian history early in the morning on January 13th. 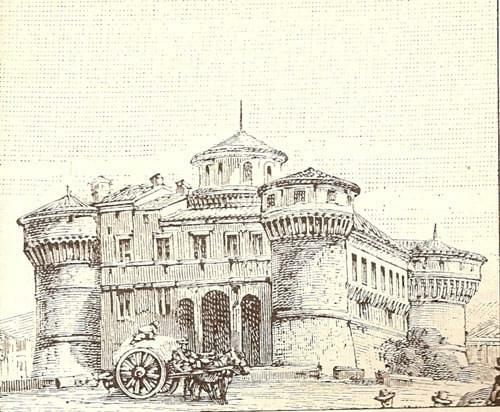 Over 12,000 people died in the earthquake and the only two pieces of architecture to survive were the Casa dei Palazzi and one wing of Orsini Castle. The town had to be completely rebuilt, even the streets, which were built in parallel lines interspersed with areas of green and Liberty style villas. 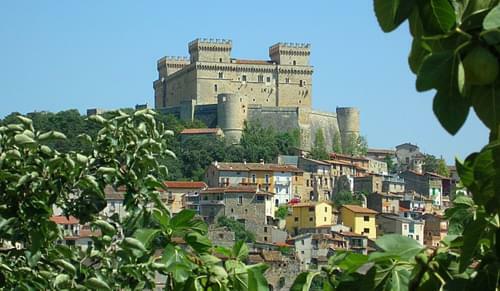 Acciano is surrounded by forests of oak trees and is built on a rocky spur between the mountains and the valleys below. This village is well known within Italy for its quality production of Montepulciano red wine. The historic centre is still enclosed behind the remains of the original fortified walls which are still in excellent condition, proving just how well they must have been built in the first place. Access to the town was gained through three doors, Porta Torrone, Porta Martino, and Porta of Aia. Recently, the original foundations of a square Roman temple, along with several pottery fragments, was discovered in this town. There is also an elaborate system of underground tunnels with evidence of mosaic floors next to the cemetery. Located on the shores of Lago di Barrea which is an artificial lake which was created during the building of a dam on the river Sangro after World War II. 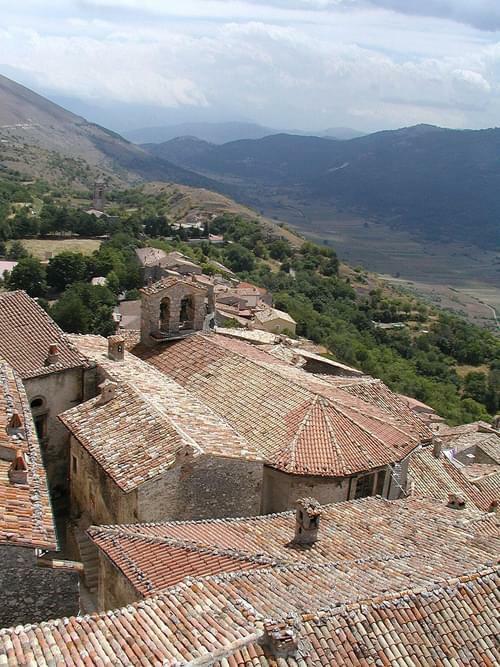 The village is in the centre of the National Park of Abruzzo, Lazio and Molise and is an area full of wildlife and beautiful scenery. The village, due to many attacks and invasions over the years, is built deep into the valley by which it protected. 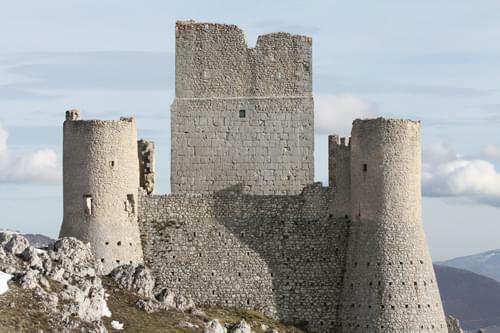 It was protected on all other sides by watchtowers and defensive walls. The village suffered badly during World War II and has many monuments in remembrance of these allied bombings. One of the villages that has gained a place in the list of 'i borghi piu' belli d'Italia' (the most beautiful villages in Italy). 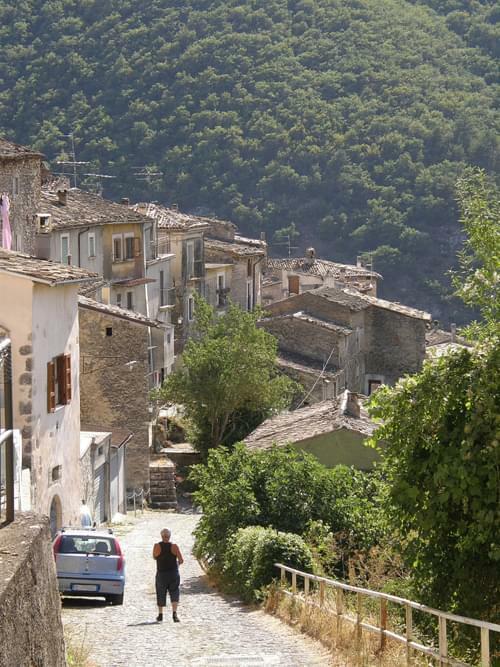 Bugnara is nestled in the Peligna valley at the foot of Colle Rotondo. The houses, built closely together, are arranged around the castle which sits on the highest point. The castle suffered a fair amount of damage during the 2009 L'Aquila earthquake. 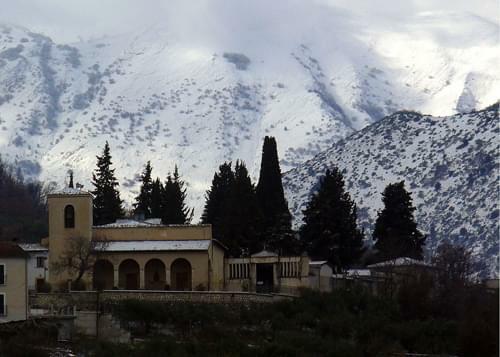 Madonna della Neve - this church has three naves, all supported by gothic arches. Santissimo Rosario - the baroque interior of this church is bright and colourful an has a carved wooden pulpit, marble sculptures, frescoes and a carved marble altar. Palazzo Ducale di Sangro - this large castle is also known as 'Rocco dello Scorpione' and was built in the 12th century. It has two towers and is completely walled. 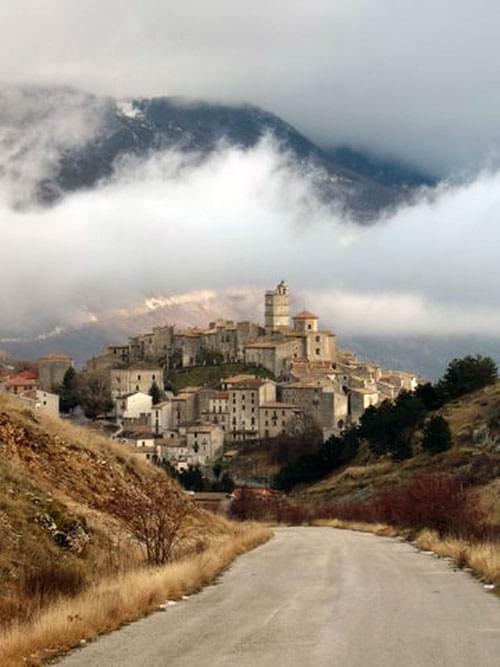 The main attraction of this small village is the ruins of Rocca Calsacio which, at 1,460 metres above sea level is the highest fortress in the Apennines. At an altitude of 1345 meters this medieval village was built into a steep hillside in the centre of the Gran Sasso mountain range. Castel del Monte was built on rocks and has many narrow, underground tunnels known as 'sporti' which were used as a means of getting from one place in the village to another safely during times of seige. The centre of the village is enclosed by strong walls with a high Bell Tower (also used as a watchtower) at its centre. These walls have five gates which wree, until the end of the 19th century, locked at night to keep out bandits. Originally the whole place was fortress to keep its people safe. 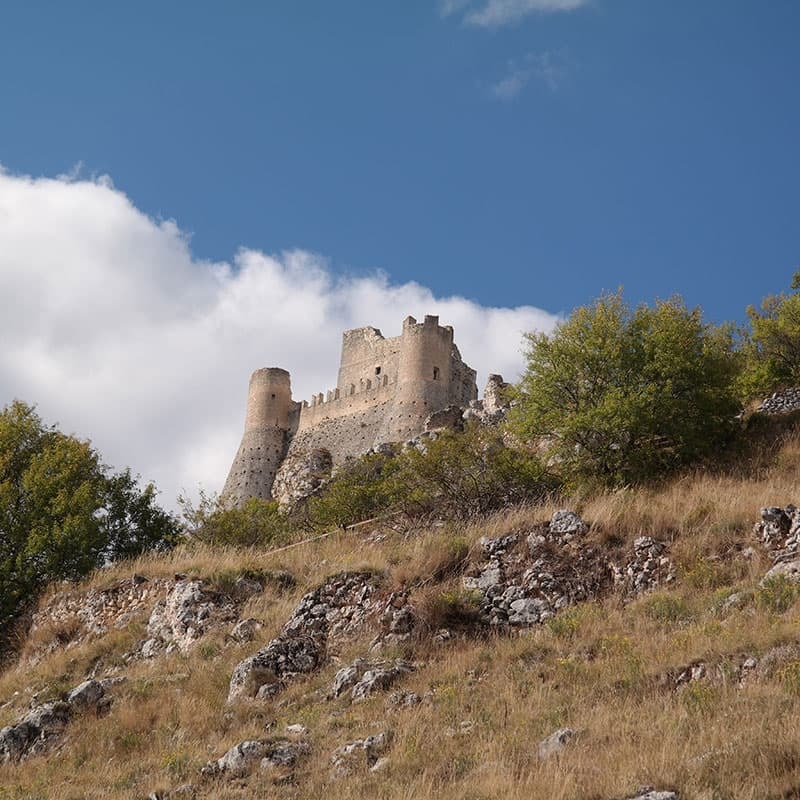 The main site in this hilltop village is the Piccolomini Castle which was built in the early 15th century on top of the hill of San Vittorino. It is a square castle with round towers at each corner. In 1915 it was damaged by an earthquake but was restored. There are also some lovely churches in this village, all with 13th century facades. This small village is worthy of a visit purely because of its beautiful and well preserved historical centre. Pacentro is built on a hilly ridge 650 metres above sea level. At one end of the town, sitting on top of a hill, Colle Castello, there is a castle and at the other end another hill, Colle San Marco, used to have the church of San Marco sitting on it. The area is renowned for its fresh mountain waters and springs. The main sites are in the old centre around the castle. Caldora/Cantelmo Castle was built in a trapezoidal shape with a tower in every corner. Three of the four towers are still standing and can be clearly seen as you approach the town. There are many palaces, most of which are in or near the main squares of Piazza del Popolo and Piazza Umberto. As in all ancient Italian towns there are many beautiful churches, the most noteable of which is the 16th century baroque Convent Church. The interior has carved choir stalls, frescoes of the life of St Francis of Assisi, rare paintings and a collection of side alters.